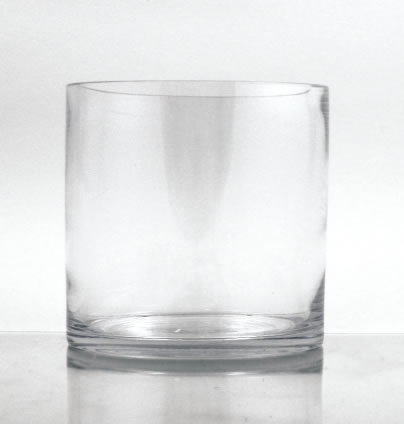 Glass Cylinder Vase, 5" x 5"
BLOWOUT SALE! Glass cylinder vase, 5" tall, 5" diameter opening. These are nice quality glass, perfect for lower profile centerpieces. Glass vases may require additional shipping. Shipping discount promotions do not apply to glass vases. Please note that all measurements are exterior (diameter and height), and are approximate, not exact (usually within 1/4" inch). All vases are hand blown and variances are naturally occurring. Air bubbles, swirls and striping are naturally occurring in hand blown glass products and are not considered defects. All glass vases sold at bloomsandbranches.com are intended to be free-standing, and for floral use only. Glass Cylinder Vase, 6" x 5" Manzanita Tree Kit, with Vase, Votives, Filler Geometric Glass Terrarium, Raised Pyramid Glass Rectangular Vase, 6" x 3"